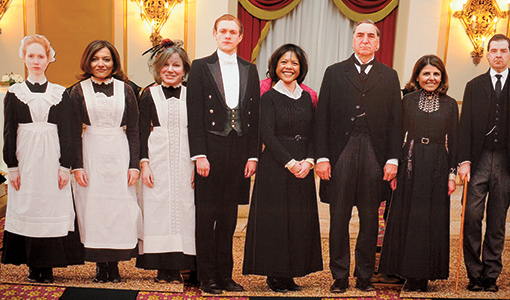 This year’s Dental Homecoming and Reunion Weekend had a 1920s Downton Abbey theme, but the focus was decidedly on the future. Kane Ramsey, vice president of the D14 class, emceed the opening Toast to Tufts reception at the Boston Park Plaza, where Tufts Provost David R. Harris and Dean Huw F. Thomas thanked the school’s 400 leadership donors and volunteers. Members of the class of 2014 also presented their senior gift, a scholarship for a student who has overcome a significant hardship, bestowed in honor of a classmate who underwent a heart transplant and is now back in dental school (see “Heartfelt Tribute”). At the Saturday continuing education program, Kathleen O’Loughlin, D81, executive director and chief operating officer of the American Dental Association, talked about gender diversity in dentistry; her presentation was followed by a panel discussion led by James Kane, D74, DG76, AG78, DG79, A04P, DG06P. 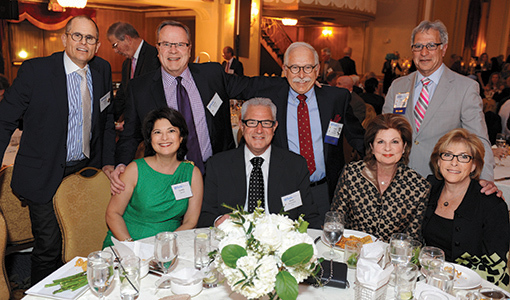 The 50-year reunion class received special recognition at the Dental Alumni Association annual meeting and lunch. Also honored were Kane, Carl J. Perlmutter, D64, DG70, and Marianne Blaney, assistant director of the Tufts Dental Fund. Tufts President Anthony P. Monaco, the keynote speaker at the meeting, shared his thoughts on the university’s 10-year strategic plan, and Thomas presented an update on the dental school. All attendees gathered that evening at the Four Seasons, where the classes presented gifts in excess of $298,000. Nearly 450 reunioners made a gift to the Tufts Dental Fund between July 1, 2013 and June 30, 2014; 30 percent of the gifts made to the fund each year come from reunion classes. The cumulative total of annual and capital gifts made since these classes held their last reunions in 2009 is more than $1.24 million. The 50th-reunion class, D64, won the Porcelain Bridge Award for the highest participation rate: 36 percent of the class made a gift to the Tufts Dental Fund. The Golden Crown Award went to the 35th-reunion class, D79, for the largest total of annual and capital gifts, $303,892, given since its last reunion five years ago. 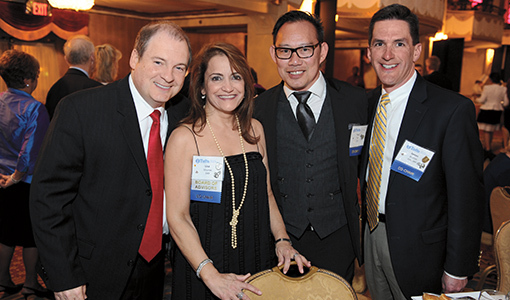 The award for the largest Dental Fund reunion gift also went to D79, which raised $77,905. The class of D04 won the Impression Award, presented to the fifth- or tenth-reunion class with the highest participation; 19 percent of the class made a gift to the Dental Fund.